Can you give Paddy and Guiness a home?! Near the end of a long, tiring and emotional day at the sales, most people but the meat men, looking for cheap ponies had gone home, these two terrified little men, weak in the back and barely any weight on them, (assumed taken from mum too early!!) Stumbled into the ring for one last hope and fortunately The Hugs were there to offer them the light they needed. Countless hours of care at the start saw Paddy and Guiness grow in confidence, trust and health each day to what they are now!! 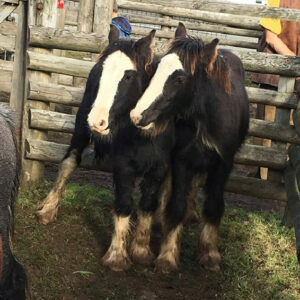 Due to their poor start in life and after discussions with our fantastic vets, we have decided to postpone their castration until October/November this year as they need more time to develop and strengthen. 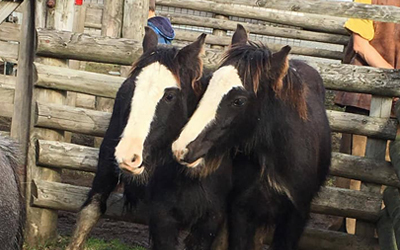 For this reason, if someone would open their hearts to these two special little chaps we are offering to pay for their castrations and aftercare. Ideally we would like them to go as a pair. Anyone would be lucky to have these two characters in their lives!! We have been told they are to make 14hh/14.2hh (but we never really know) and they are currently only 6-8 months old. Please email katy@hugsfoundation.org.uk or ring 07539 916048 to find out more. 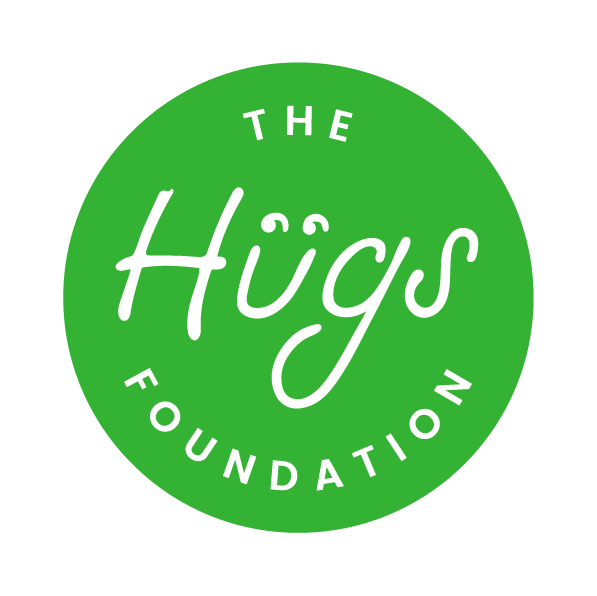 With your help The Hugs Foundation can reach its goal to continue to grow and touch the lives of many. Bringing positive change to the community and grow to a full centre of rehabilitation.